So you think you are a good shot and you want to do some target shooting? Maybe you should think about competing. And why not? Competitions are a great way to hone your skills and make friends who have the same interests. Getting started in target shooting is not as easy as picking up a gun and going to a range, though. There are a lot of things you need to do to eventually become a pro. Here are some things to think about. You have your heart set on competing, or you at least want to know how to go about getting started. We’ve broken down the steps for you. In most shooting competitions in the U.S., it’s a requirement to be a member of at least one gun club. But not all clubs are suitable for everyone. You need to find a club that has your interests at heart. If possible, avoid free clubs: There are so many free USA shooting clubs that make money through donations and competition fees. The only problem is that they are very crowded. Getting enough practice might prove difficult. If you have some money to spare, avoid freebies! However, make sure that you sign up for a club that you can afford. 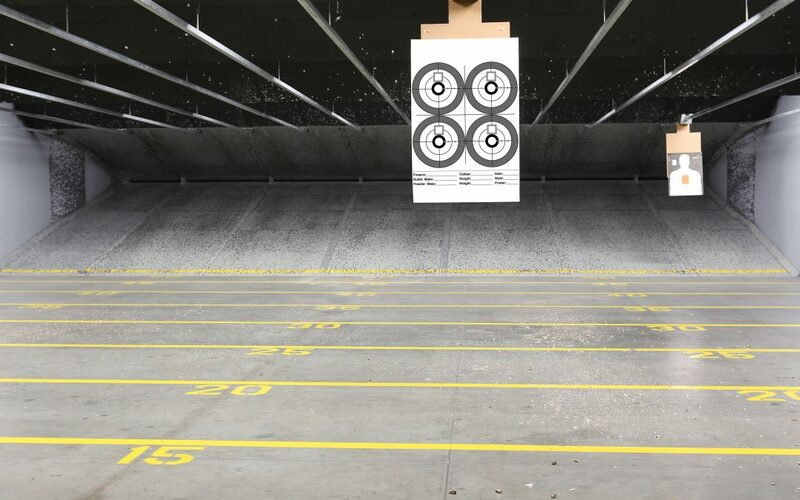 Know the amount of shooting time you will get: Being a pro at target shooting takes a lot of practice. Your club should offer you space and time to get enough practice. That means that it should be open at convenient hours when you can use it. 3-Gun Shooting: If you are into fast-paced target shooting, then this is the competition for you. You will use a shotgun, an AR-15, and a handgun to complete various, timed, shooting challenges. The stages involve shooting from various positions and ranges, as well as at a number of different obstacles. 10M Air Rifle: This is the best competition for beginners, as it accommodates the widest skill level as far as shooting is concerned. Shooters fire at a target from a specified range while standing. The closer you shoot to the heart of the target, the more points you get. Precision Pistol: In this type of competition, you’ll fire at a target over a specified range in a set time limit. Most pistols used in this competition are automatic and should be able to fire at least five rounds. If you want to experience the true thrill of shooting, then you should definitely consider this competition. Try out these different competitions and see what interests you most. After that, you can tailor your time and resources to that specific game. First things first, ensure that you are safe. Gun ranges that host shooting competitions are known as “cold ranges.” That is where everyone’s gun should be holstered and unloaded at all times unless directed otherwise by the range officer. Some ranges have specific rules about where and when you can even handle your gun. Whether the gun range has a safe area or not, you should never load your firearm in the safe area. As a new shooter, it’s always recommended to find someone who has more experience in shooting competitions for a bit of guidance. Nobody is expected to know all of the rules immediately, but everyone is expected to make safety their top priority. To be eligible to participate in the shooting competitions, you need to be successfully registered. Stability is everything: Unlike what most people will tell you, the secret to being a perfect shot is not having the best guns, but the perfect stance. Your shot will only be as good as how stable your feet are. For a firm stance, spread your legs, bend your knees just a little bit, aim, and fire. Have a good grip: Get a firm grip on your gun so that the recoil force doesn’t push you to the ground. Also, before you shoot, make sure your gun is completely in line with your arm. Keep both eyes open: Most beginners aim by closing one eye. If you are using a handgun, this does not translate to accuracy. To make more accurate shots, keep both eyes open and shift the gun towards your dominant eye. It will be very hard to do at first, but you’ll get it with lots of practice. A target shooting competition is not a walk in the park. It requires a lot of dedication, time, and practice. You probably won’t win your first competition. However, with these tips in mind, you are on our way to becoming a pro. Never lose sight of the target!